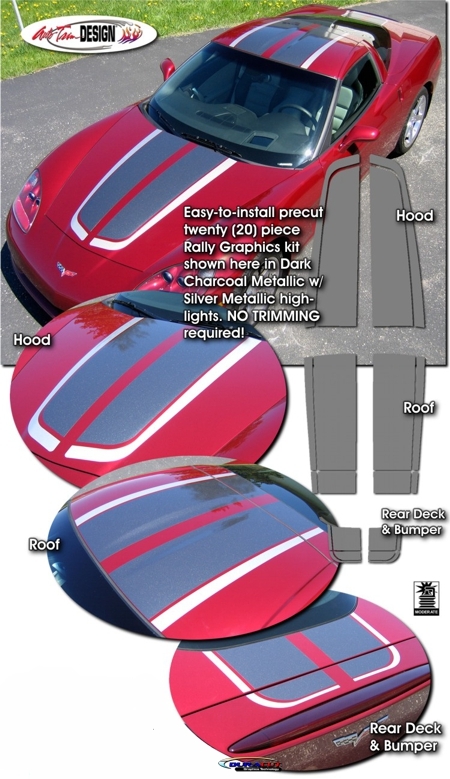 Reminiscent of the '04 Commemorative Edition Z06 rally stripes, this awesome graphic kit is packaged as precut pieces ready to install - NO TRIMMING required! Kit is offered here in Red. 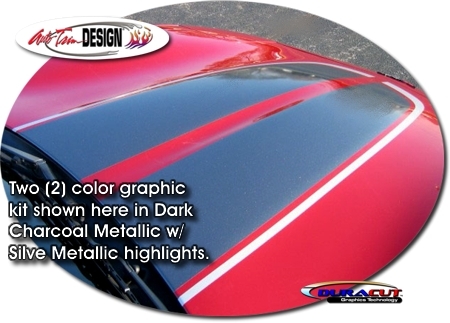 Kits are specifically made for '05-'13 Chevrolet Corvette Coupe, Grand Sport Coupe, or Z06 and will not fit any other vehicle.